Capgemini is acquiring iGate for $4 billion, which makes it the largest merger and acquisition of any IT company founded by Indians. Globally, this will be the largest acquisition of any IT Services based company. Capgemini is paying $48 per share of iGate (which is 12% premium over the last 30 days trading volume), and the deal would be completed using a complex mixture of cash, debt and equities, which will not surpass 6% dilution of Capgemini’s share capital. Capgemini is France based global consulting and management behemoth having a market capital of $14 billion as of today. They have 145,000 employees spread across 40 countries. 4 pillars of their services include: Consulting, Technology, Outsourcing and Local Professional Services. iGate, a US based technology consulting and services company, which was founded by Sunil Wadhwani and Ashok Trivedi. They started their journey by founding Mastech in 1986, which transformed into iGate after the 2001 dotcom crash. They listed themselves in the NASDAQ in 1996.
iGate created ripples across the IT sector when it bought Patni Computers, a company which was 4 times it’s own size in 2011. They paid $1.22 billion (Rs 5900 crore), which became the biggest IT M&A involving an Indian founder. In 2012, iGate crossed $1 billion revenue mark. Last year, iGate clocked revenues of $1.3 billion from 281 clients, with a 19% operating margin. They have 33,000 employees, out of which around 25,000 are in India. Their 70% of revenues are generated from North America, and some of their clients include: GE, MetLife and Royal Bank of Canada. North America will now become Capgemini’s largest market, as they will get control of significant market share from iGate, especially in the finance sector. Oracle acquisition of i-Flex for Rs 4000 crore in 2005. Globally, some of the biggest deals in the IT sector include: HP acquisition of EDS for $13.9 billion in 2008, which is the biggest so far. Last year, Canada’s CGI acquired UK’s Logica for $2.6 billion. After this acquisition, Capgemini is in direct competition with IBM and Accenture, which are other global IT consultants having a strong base in India with more than a lakh employees. 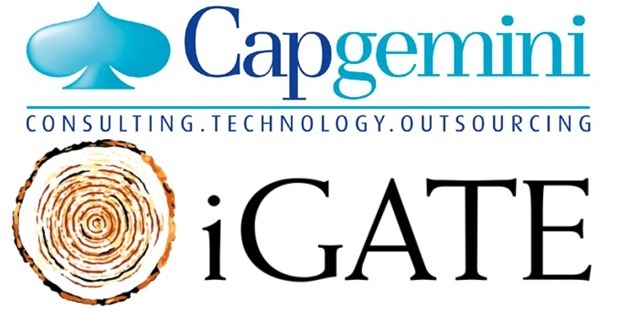 "Capgemini Acquires iGate for $4B; Founders Get Richer By $1B Each! ", 5 out of 5 based on 1 ratings.